Developer Square Enix confirmed that discussions with Nintendo and Microsoft are underway about bringing Final Fantasy XIV to the Switch and the Xbox One. This isn’t the first time we hear about this: director Naoki Yoshida has said before that he is considering bringing the game to consoles, but more new information on the subject failed to emerge until now. In an interview with Finder, Yoshida stated once more his desire is to bring the MMORPG to more platforms outside the PlayStation and PC and made it pretty clear that this has been discussed and planned for a while now. The only problem with bringing the game to the two consoles might be the confirmation that platform holders would allow instant patch updates and whether they will show both cooperation and support for the game’s community. Yoshida wants to make sure that both Microsoft and Nintendo understand what he and his company are doing and wants the two companies to be aware of their online and QA regulations. Unfortunately, as a result, these discussions are lasting longer than expected. The FF12 team is probably not surprised by such long-gestating changes, especially if we reflect on the troubled release from 2010 when the game underwent enormous alterations and various expansions. Let’s hope that Yoshida’s persistence and long waiting will pay off in the end. 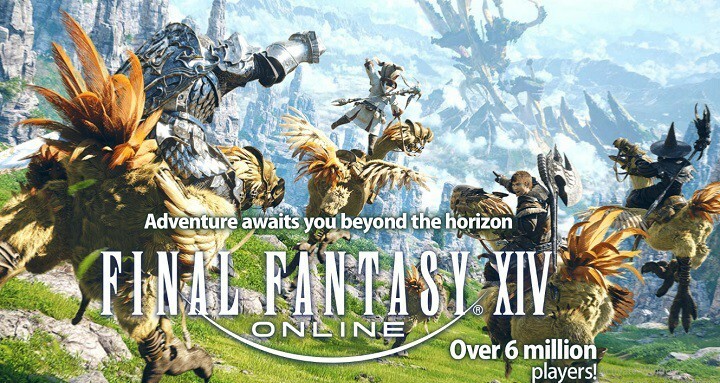 You can currently give Final Fantasy XIV a try for free after Square Enix removed the game’s time restriction from the game’s free trial up until level 35. After, you’ll be able to transfer your save to the main game in case you want to pay to continue playing.